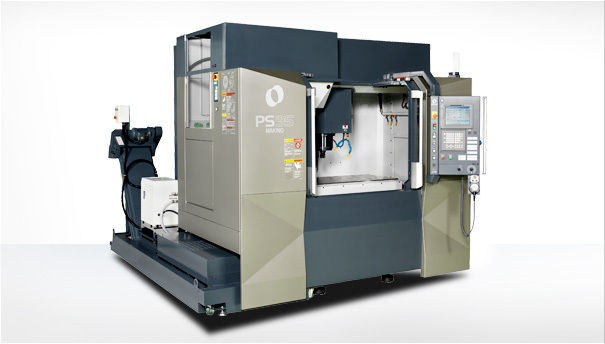 The Makino PS95 is an exceptionally built 4 axis precision CNC Vertical Mill. Known for quality, power, precision, productivity this machine with its heavy cast iron construction is at the top of its class. 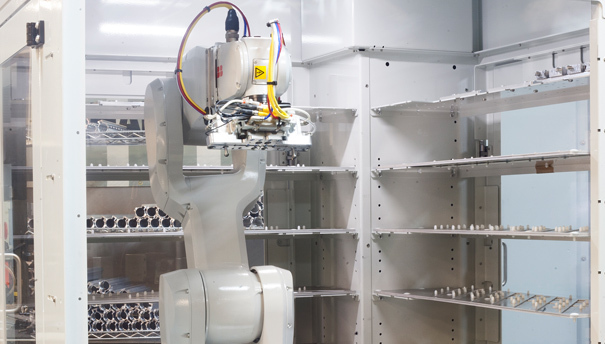 By embracing available technology, we at 2A Machine have added robotic tending on this mill with a VersaBuilt VBX-160 robotic arm allowing for 7/24 operation and a true lights out manufacturing efficiency.